OUR PRICE: $57.80 - Join Rewards Get $5 Dance Dollars On This Item! 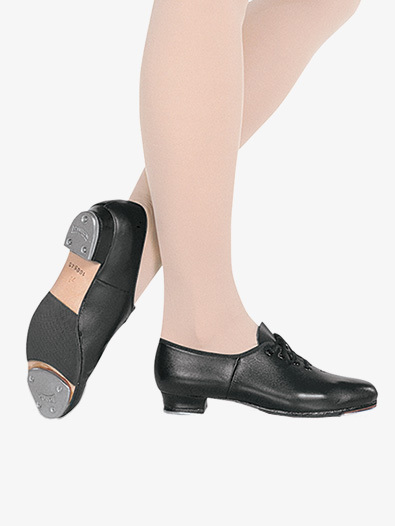 From Bloch, a jazz-style upper of durable, soft leather combined with a full leather sole and reinforced toe box makes this a strong, stable tap shoe. The taps are secured to a resonating board for a full sound and perfect stability. Rubber pad on metatarsal. 1" heel Techno Taps. Suggested Fitting: Children order same to a half larger than street size.